The Resource Management and Capacity Planning Handbook by Jerry Manas is the authoritative source for any organization wanting to improve its resource management practices in the context of portfolio management. The opening chapter does a great job of providing basic context of resource management and capacity planning and strongly leverages a benchmark study by Appleseed RMCP and expert practitioners in the field. Organizations continue to struggle with the matter of resource management and “when you consider the constant change, lack of visibility into resource capacity, and no sense of which work is most important, the result is a perfect storm of resource management chaos.” In order to address this problem, Manas systematically covers key topics chapter by chapter that provide relevant help to companies seeking to improve. This book is not about mere theory, but gives literally hundreds of practical points based on corporate reality. Chapter 2 addresses the road to maturity for improving resource management. I am a big believer in assessing organizational maturity, and Manas does a great job of acknowledging that organizations are on a road to maturity, and through the help of expert practitioners, gives examples of how organizations have matured their resource management processes. The chapter also addresses the matter of time tracking and does an excellent job of providing a balanced view of why to do it and how to make it work. In chapter 3, Manas presents a systems approach for diagnosing the root causes of poor resource management. He brings out a number of points that should strike a chord in any organizations. In the latter half of the chapter, he uses systems thinking to deep dive on estimating resources and tasks. Chapter 4 addresses the much needed topic of leadership and organizational change management. I was very pleased to see an entire chapter devoted to these two subjects, because most of the time in portfolio management literature, the emphasis is either on process or tools, with little regard for the people dimension (which is very critical). Much of the chapter is spent on the “50 ways to lead your users”, which is a systematic and structured approach to leading change in the organization. 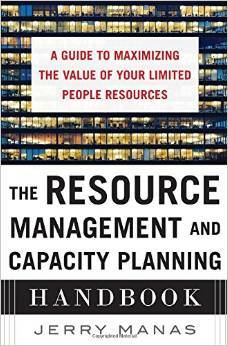 Chapter 5 addresses key roles for making resource management and capacity planning successful. One of the key takeaways is that successful organizations very often have dedicated resources to support capacity planning exercises. He also takes time explaining the expanding role of the PMO. Chapter 6 is an enjoyable chapter on strategic alignment and how not to manage resource capacity management like failed military leaders in the past. Chapter 7 is a great chapter focusing on the human side of resource management. As chapter 4 addressed the people side of leadership and change management, this chapter does an equally good job of explaining why it is important for organizations to pay attention to the human side of project execution and resource productivity when trying to improve resource management. Chapter 8 expands upon a white paper Manas wrote called “the Capacity Quadrant”. This chapter speaks more frankly about the topic of portfolio management and the need for visibility, prioritization, optimization, and integration of the portfolio. I loved his white paper on the topic and felt that this chapter could have been moved up earlier in the book to provide a clearer view of resource management and capacity planning within the context of project portfolio management. The final chapter, chapter 9, concludes with industry specific challenges of resource management and capacity planning. This chapter turned out to be the cherry on top as it provided insight into unique challenges faced by different industries. Learning about challenges faced by other industries actually gives greater context to the capacity planning problem and puts readers on the alert for identifying and solving these problems in their own company. The Resource Management and Capacity Planning Handbook is a must-have book for PMO directors and senior leaders struggling with making the best use of limited resources. Jerry Manas has a great writing style that makes the book easy to read and easy to understand. He also does a fantastic job of blending theory with reality by explaining key topics and then providing numerous tips on how to be more successful with resource management. Portfolio review meetings are a great way to review and assess the entire project portfolio with the governance team. Unfortunately in practice, these meetings can be overwhelming, time consuming, and unproductive. There are many ways to conduct a portfolio review meeting, but one of the key questions of the governance team is “what do they want to accomplish at the end of the portfolio review”? For some organizations, portfolio review meetings are about getting project status of every project in the portfolio. For other organizations, portfolio review meetings are designed to evaluate each project in the portfolio with the intention of updating priorities. OPTION 1: A review of all in-flight projects, current status, relative priority, business value, etc. Some projects may be cancelled, but the primary purpose is to inform the LT of the current in-flight projects. OPTION 2: A partial review of projects in the portfolio consisting of high-value/high-risk projects. This provides more in-depth information of critical initiatives and may result in a possible change of priority of certain projects. OPTION 3: A high-level review of all projects in the portfolio with the intention of updating project priorities for every project in the portfolio. These scenarios are easier to produce when efficient frontier analysis is applied. Even after a portfolio recommendation is accepted, there is further work to screen out the projects not included in the portfolio, and in some cases to make worthy exceptions for some projects that would have otherwise been removed from the portfolio. What do you think? Have you tried this approach before? How successful was it? Let me know. 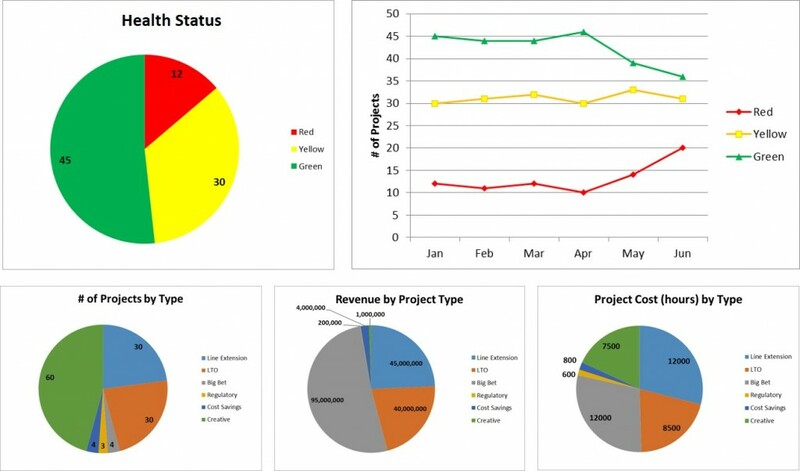 Project portfolio management (PPM) helps organizations make decisions that move the needle toward achieving their strategic objectives. In order to make those decisions, senior leadership needs the right information at the right time. This is where PPM systems come in, providing the quality data helping to inform sound decision making. 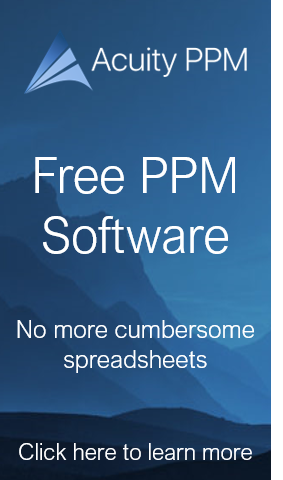 Unfortunately, many companies assume that merely implementing a PPM system will improve their ability to execute strategy. There’s more to it. In order for PPM systems to add value, organizations need to consider five important factors: business drivers, reporting, data, processes and people. Phase-gate reviews improve project selection. If an organization wants a winning portfolio then the governance team must select winning projects. Therefore the project governance board must be able to discriminate between good projects and great projects. The phase-gate process enables the project governance board to review these projects based on preselected strategic criteria at the gate reviews of the decision gate process. At each of those gates, important project information is provided to the project governance board to make a go/no-go decision related to the project. Without this mechanism, unnecessary or poorly planned projects can enter the portfolio and bog down the work load of the organization, hampering the benefits realized from truly important and strategic projects. The ability to screen out misaligned projects is based on the types of decision making criteria used for gate reviews. Another way to look at the criteria is that they act as gate review filters. For instance, some companies may have no filters and approve every project; another company may only judge projects based on financial contribution and screen out very fewer projects; whereas other companies will makes gate decisions based on financial contribution, investment risk, and resource availability. We can see this by the image below. 1) Financial filter: this gate criteria requires some sort of financial analysis to determine the profitability (or value) of the project. Applying financial hurdle rates may be one way of screening out lower value projects. Using financial benefit (e.g. net present value) is one approach to rank ordering projects. 2) Strategic filter: most companies implementing PPM recognize the need to evaluate projects in light of strategic goals and objectives. However, if the criteria is not detailed enough, most projects can be shown to align to strategy to a certain extent. 3) Risk filters: risk criteria at gate reviews should really be thought of as investment risk. Detailed project risks may or may not be known, but based on the type of project being proposed and the initial analysis the riskiness (or risk nature) can be understood. Depending on the risk tolerance of the organization, more projects may be screened out based on the riskiness of the project. 4) Resource filters: a more advanced criteria is resource availability or the utilization of key resources who are currently unavailable. Since many organizations do an inadequate job of measuring resource utilization, this filter may not be used as often. 5) Portfolio filter: for simplicity, a portfolio filter takes an aggregate portfolio view when reviewing individual projects. It measures what the impact to the portfolio is rather than only evaluating the individual merits of the project. It also relates to the balance of the portfolio (short-term versus long-term, risky versus safe, good distribution among business units, etc.). As organizations mature their project selection process, more gate review filters (criteria) should be used to ensure that right projects get included in the portfolio. More criteria often means fewer projects get approved which means that the project pipeline more closely resembles a “funnel” rather than a “tunnel” (see this post for details). Project prioritization is one of the most common topics in portfolio management literature. Within the context of project prioritization is the matter of scoring models because scoring models are the most widely used approach to prioritize projects. Although there are a lot of opinions on the effectiveness of common scoring models, they are nonetheless the most common method for prioritizing projects. However, most people may not realize the many uses of a scoring model and how it drives better decision making beyond project prioritization. In this post, we will look at five uses of a scoring model. 1) Project prioritization is the most common reason for using scoring models. As we saw in a previous post, project prioritization is for resource allocation. Since portfolio management is about delivering the most business value through projects, it is logical to ensure that resources are spent on the most important work. Ranking projects helps provide a common understanding of what is most important in the organization and scoring models are one of the easiest ways of establishing a rank order. For more information on using prioritization scoring models to rank order projects, please see Mastering Project Portfolio Management. 2) A prioritization scoring model is also used for project selection. 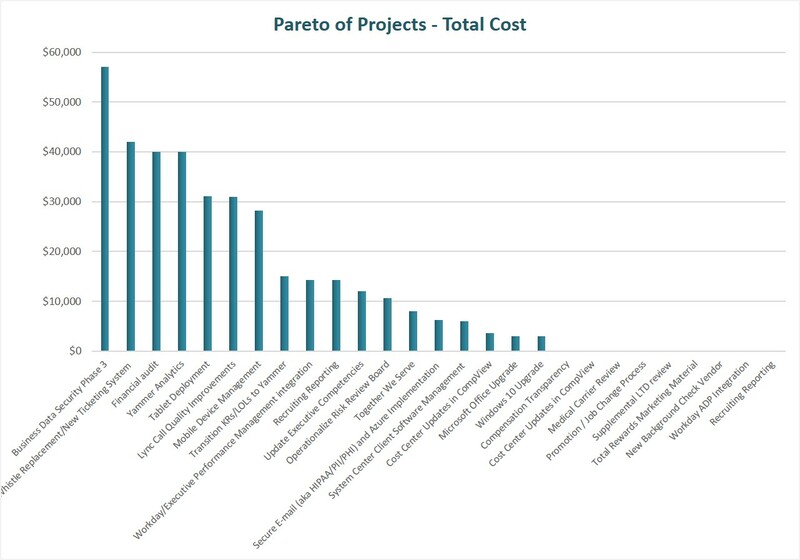 The idea is to rank projects from highest value to lowest value and select projects until resources run out. This approach has merits over other approaches that do not sufficiently take account of strategic drivers. However, it can be shown that even simple optimization techniques can yield a higher value portfolio at the same cost. 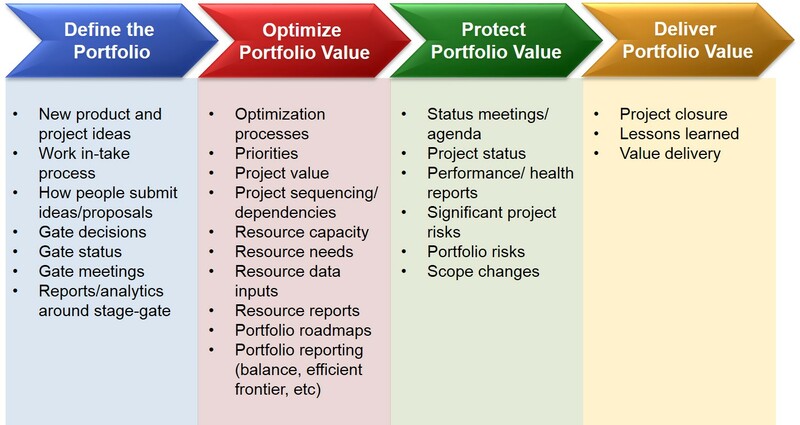 For organizations that do not employ portfolio optimization techniques, using a scoring model to rank order projects and fund projects until resources runs out is a reasonable way to go. 3) Portfolio optimization is very useful for identifying higher-value portfolios than merely using scoring models as discussed in the previous paragraph. The scores for each project can represent a “utility score” which can then be used as the input for the optimization calculations. In this way, projects are optimized based on all the scoring inputs, not merely on net present value or some other financial estimate. For more information about this technique, please refer to Richard Bayney’s book Enterprise Project Portfolio Management: Building Competencies for R&D and IT Investment Success. A) Organizations can predetermine a threshold score that projects must exceed in order to be considered for inclusion in the portfolio (known as a scoring hurdle). B) An alternative approach is to use a scoring range to provide better input to the decision makers. In other words, if the scoring range were from 0 to 100, scores below 30 might represent high-risk/low-value investments that should otherwise be rejected, but may only get approved if there were other intangible factors not considered by the scoring model. Projects in the middle range of scores might be approved with more scrutiny, and projects in the upper range would likely get approved. The prerequisite to taking this approach is to have an adequate number of historical scores from past projects to compare against. Statistical analysis would further help refine this approach. Another assumption is that the scoring model would have to remain fairly consistent over time with few changes. Otherwise, historical scores could not be used to determine the correct range unless special adjustments are made to the scores. 5) Finally, scoring models provide the input to build risk-value bubble charts, which provide great visual information to senior leaders. The scoring model needs to contain both value elements and risk elements as inputs for the diagram. Normally, these scores are summed to become a single number, but with the risk-value bubble chart, we need to break out the total value score and the total risk score in order to correctly plot the data on a chart. 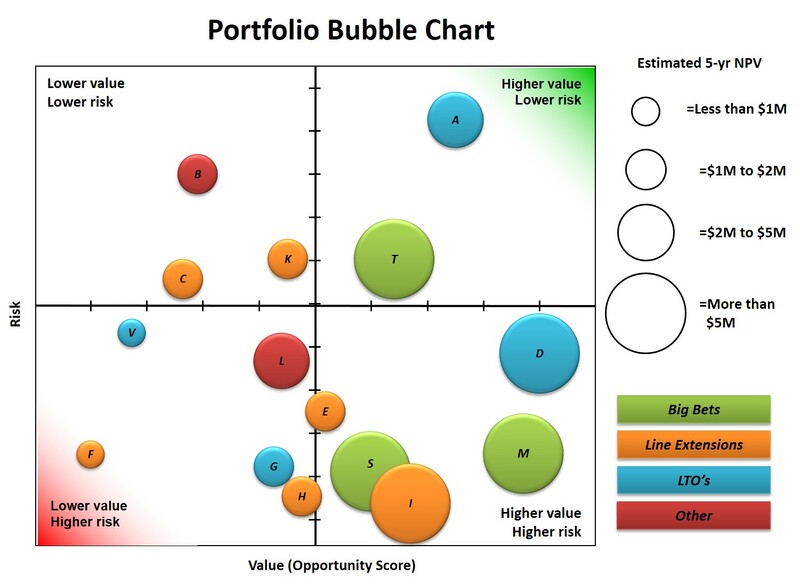 With further data elements such as strategic alignment and expected cost (or return), more information can be displayed on the bubble charts (see example below). Project pipeline management is an important component of project portfolio management (PPM) because it encompasses the work needed to “select the right projects”. Pipeline management involves steps to ensure that an adequate number of project proposals are generated, evaluated, and screened out at various stages of the intake process that meet strategic objectives. There are three major sub-components to pipeline management: ideation, work intake processes, and phase-gate reviews illustrated in the figure below. Ideation is the process by which new project ideas are generated. This is slightly different from the work in-take process by which project requests are formally brought forward to a governance board. Ideation is important for collecting the best ideas from the organization, for collecting a sufficient number of project proposals to generate higher quality projects, and to maintain a healthy organization by engaging employees to submit their ideas. Opportunity management complements ideation and further strengthens the project selection process. Some ideas may be great, but for one reason or another, the timing is not right or some other constraint makes the execution of the idea difficult or impossible. 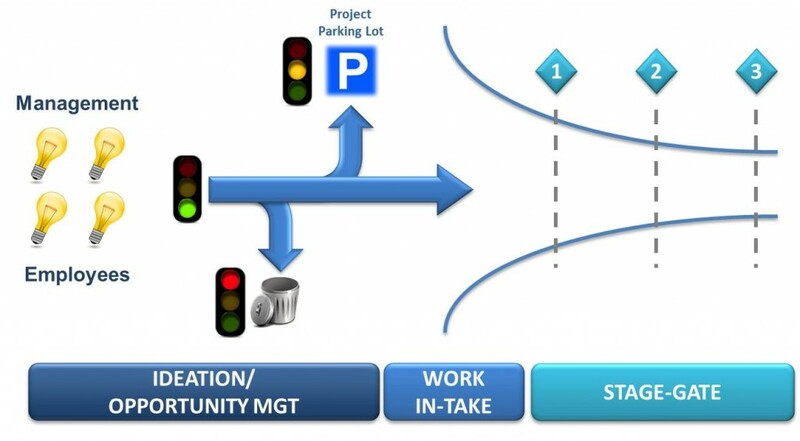 For this reason, organizations should establish a “parking lot” of good ideas waiting to enter the project pipeline. This parking lot is really a collection of all of the opportunities waiting to be captured. The processes for managing opportunities are similar to the processes for managing risks except that opportunities are future events that could produce positive outcomes for the organization. Opportunities often fall into the “should do” or “could do” categories, but enable organizations to achieve more or perform better than planned. Without an opportunity management process, organizations risk losing visibility of potentially beneficial future projects. The work intake process refers to the steps of developing a project proposal and bringing it to the governance board for a go/no-go decision. This process works in conjunction with both ideation and phase-gate, but can also be a standalone process. When used with ideation and phase-gate, the work in-take process helps bridge these other two processes together. The work in-take process is important so that all project proposals are created in a consistent manner with common tools and processes. The unintended consequences of not having a work in-take process include organizational confusion, time delays, and quality erosion. 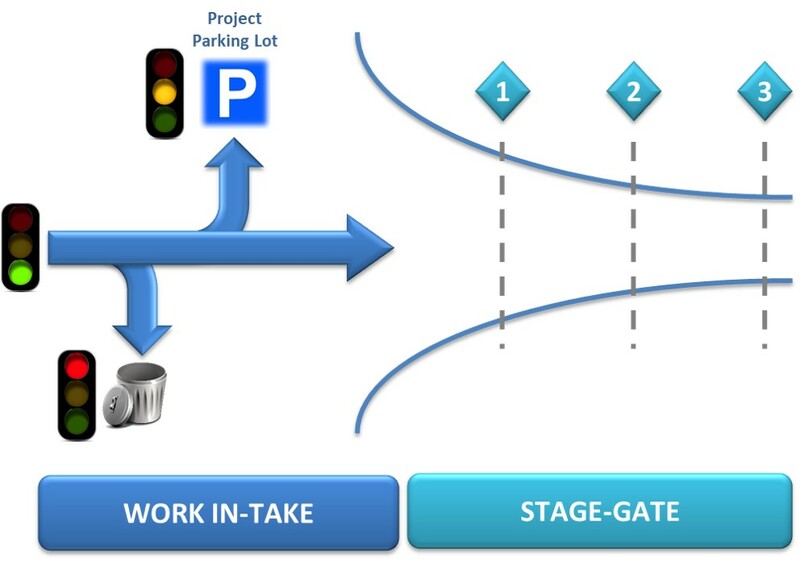 Phase-gates (also known as Stage-Gate™) are a critical component of pipeline management. A winning portfolio must contain winning projects, therefore the portfolio management team (PMT) must be able to discriminate between good projects and great projects. The decision gate process enables the PMT to review these projects based on preselected strategic criteria at the gate reviews of the decision gate process. At each of those gates, important project information is provided to the Portfolio Management Team to make a go/no-go decision related to the project. Without this mechanism, unnecessary or poorly planned projects can enter the portfolio and bog down the work load of the organization, hampering the benefits realized from truly important and strategic projects. Project Management Institute (PMI) recently announced that a new Portfolio Management Professional (PfMP) certification would be available later this year. 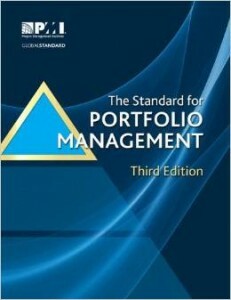 This is very exciting since PMI had released their 3rd edition of the Portfolio Management standard yet had not made a certification previously available in portfolio management. The eligibility requirements are steeper than the PMP. A secondary degree (high school diploma, associate’s degree, or the global equivalent), with at least seven years (10,500 hours) of portfolio management experience within the past 15 consecutive years. 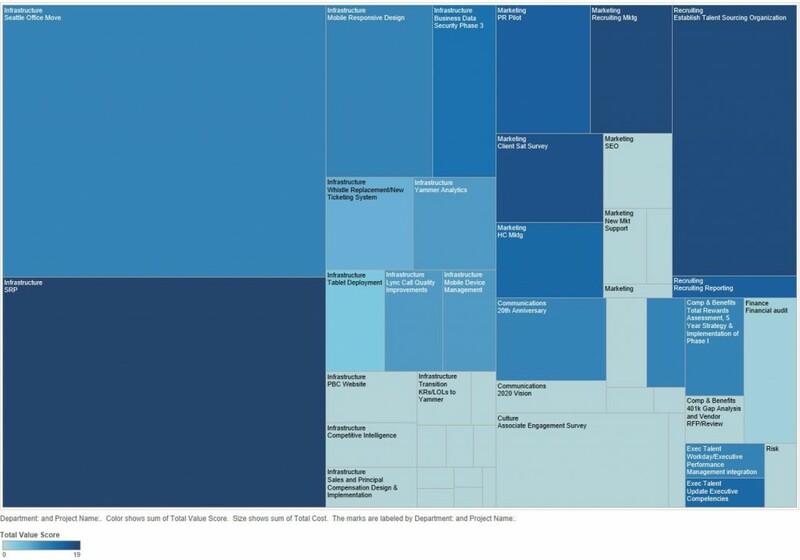 A four year degree (bachelor’s degree or the global equivalent), with at least four years (6,000 hours) of portfolio management experience within the past 15 consecutive years. Since portfolio management focuses on strategic investment matters and high level organizational decisions, it is pertinent to have a foundation of professional business experience. All applicants must possess a minimum of eight years (96 months) of professional business experience. I can’t wait for the Portfolio Management Professional certification to be officially available. 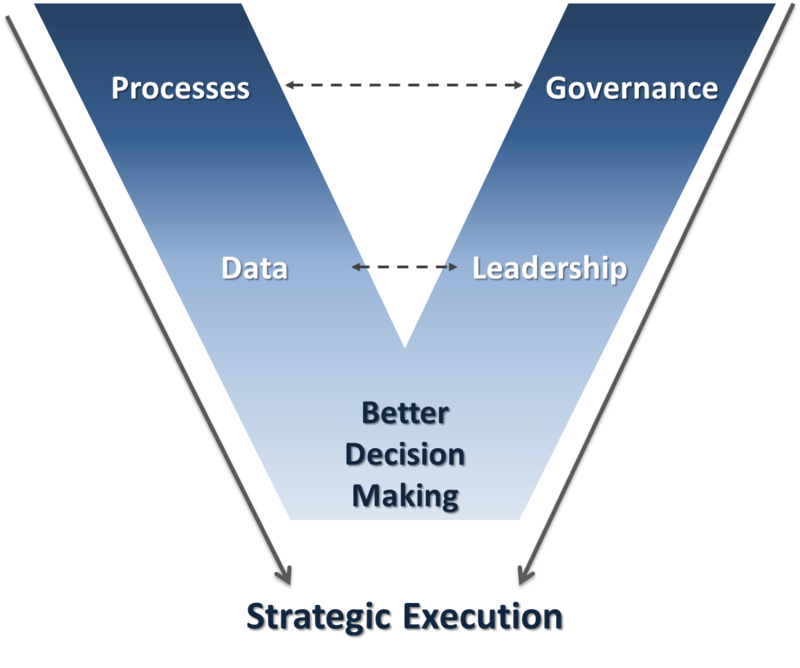 In part 1 of the portfolio management V-model we looked at the left side of V (process and data) that drives better decision making. In part 2 we will look at the right side of the V (leadership and governance) and then tie everything together. Let’s start with governance. Establishing portfolio management governance is a critical component for successful execution of PPM. Peter Weill and Jeanne Ross, authors of IT Governance, define governance as “specifying the decision rights and accountability framework to encourage desirable behavior in using IT. Governance determines who makes the decisions. Management is the process of making and implementing the decisions.” They make the point that IT governance is the most important factor in generating business value from IT and that good governance design allows enterprises to deliver superior results on their IT investments. Governance is the foundation for all of the other portfolio mechanics, and without it, PPM doesn’t work. All benefits of project portfolio management hinge on the execution of portfolio governance. According to Howard A. Rubin, former executive vice president at Meta Group, “a good governance structure is central to making [PPM] work.” Furthermore, “Portfolio management without governance is an empty concept”. These quotes highlight the need for a well-defined and properly structured governance in order to manage the project portfolio. Leadership is a critical component that brings the governance framework and the visionand goals of the organization together. Good leaders will develop the right goals and strategies for the organization. At the same time, good leaders will also develop the necessary governance infrastructure to make good decisions that will drive the execution of the strategy they have put in place. Moreover, good leaders will hold management accountable for following the governance process and will take ownership for achieving the organizational goals. In sum, leadership drives accountability. Good governance processes enable better decision making but do not ensure it. The real decision makers on the portfolio governance board should be strong strategic leaders who make the right decisions at the right time. Portfolio management requires prioritization and trade-off decisions, which can be difficult tasks amidst strong politics and/or dynamic environments. True leaders will not compromise and accept mediocre results, even when that is the easiest path to take. Good strategic leaders will make difficult decisions (aka “the right decisions”) in the face of difficult circumstances. This is why leadership is needed in addition to governance for making better strategic decisions. We can connect all of the components together now and see how they fit together. Good decision making requires having the right data at the right time, and it also requires strong leadership to utilize that data for making the best decision possible at any point in time. In order to have good data, organizational processes are required to collect the data and maintain it. Governance processes are also needed to ensure that the governance board operates efficiently and effectively. Even if there are good governance processes and place, and the roles and responsibilities are well understood, real leadership is needed to make difficult decisions that best utilize resources and accomplish company goals (even when not popular among all stakeholders). These decisions relate to the projects and programs in the portfolio that will execute strategy and meet company objectives. The simple portfolio management V-model helps tie together four critical components of PPM that lead to better decision making and result in greater strategic execution. I recently constructed a portfolio management-oriented V-model. The traditional V-model has been used in software and product development, but this PPM variant differs in that the end result comes together at the point of the V. This is not an exhaustive list of PPM components, but does represent critical components and how they come together to drive better decision making resulting in optimal strategic execution. The model also makes a big assumption that the organization has sufficient strategy development capabilities in place. Let’s work backwards (from the point back to the tips of the V) to understand how components on the left side supports the model. One of the primary goals (if not the foremost goal) of portfolio management is to execute strategy. There is an important distinction between strategy creation and strategic execution. Possessing a strategy (and spending the energy to create one) is meaningless if the organization cannot accomplish the strategic goals. Although many people acknowledge that strategic projects are vehicles for a accomplishing a strategy, senior leadership needs to make the right project decisions at the right time to advance the goals of the company. Hence, making smarter and better decisions is a precursor for solid strategic execution. In order to make smarter and better decisions, the right data needs to be available at the right time. I have written about this in the past. Senior leaders should know what data is important and valuable for making the right decisions at the right time. 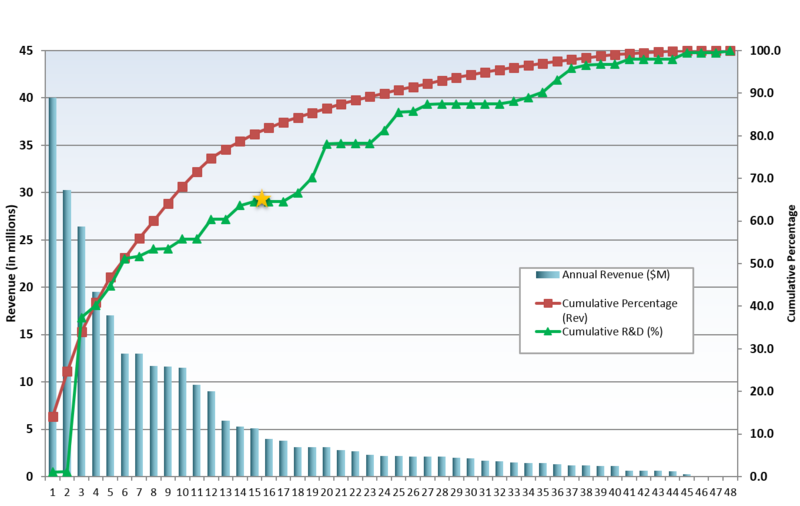 Data collection costs money as does data analysis. Organizations should be mindful of the amount of effort needed to collect data and only collect data that is most important to the company. In another post, I wrote about a virtuous data cycle by which senior leaders need to actually use the data collected, communicate that the data is being used, and explain how the data is being used. This will encourage higher quality data collection resulting in better decision making. However, in order for the right data to be collected at the right time, processes need to be in place to facilitate the data collection process. Processes for work in-take, business case development, status updates, and resource management help provide the right data in the portfolio management lifecycle to promote better decision making. The next post will explore the right side of the model and tie all the points together. This is a fun blog post with tips on using gamification to teach portfolio management principles (PPM). Portfolio management is not rocket science, but quickly conveying key concepts to people not familiar with project and portfolio management disciplines can be difficult. I learned this the hard way recently through my participation at two business competitions in Seattle. As I was working to come up with a simple message to explain portfolio management, I was reminded of a game I used to play in high school called Klax that actually contained many portfolio management principles. 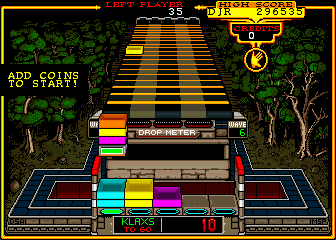 Klax is similar to many other puzzle games requiring players to connect multiple objects together of the same color. The basic game play involves colored tiles coming down a conveyor belt and the player needs to catch the tiles before they fall off and successfully drop them into a holding container (5 tiles by 5 tiles big) where points are scored by lining up at least three tiles in a row of the same color. The player can hold up to 5 tiles in order to better plan when and how to drop colored tiles into the bin. When colored tiles are lined up, points are scored and the tiles disappearing clearing up more space to drop more tiles. A vertical stack of three tiles scores the least amount of points, horizontal connections score more, and diagonal connections score even more. Skilled players can connect 4 and 5 tiles together to score more points and lining up tiles to form an “X” scores a massive bonus. The game becomes more and more challenging as the number of colored tiles increases and come faster down the conveyor belt. The game ends when a player has missed too many falling tiles or fills the container bin (demo). As you can probably guess by now, such a simple game has some interesting correlations to help teach portfolio management principles. Each tile could represent a project proposal and aligning three or more proposals of the same type (color) to organizational goals or strategies drives greater value to the organization. The holding bin itself could represent organizational resource capacity to complete project work. Each vertical section of the holding bin could represent a different business unit or customer. Some projects (vertical stacks) focus only on a single customer or business unit, whereas other projects (horizontal and diagonal connections) are developed for multiple business units. Clearly, these sets of projects are harder to complete when multiple stakeholders are involved and represent higher risk to the portfolio. Vertical stacks of 3 tiles are the easiest to complete but score the lowest amount of points. Higher scores are generated by lining up 4 and 5 tiles together, which requires more skill and planning to make those connections. Players need forethought of when and how to place the tiles in order to generate maximum points. Certain levels also have certain goals that need to be achieved before the player can advance to the next level. For example, the player may need to complete five diagonals before the level is over. Creating vertical and horizontal stacks may still earn points and may be needed to clear space in the bin but does not directly achieve the required goal. 1) Governance: the paddle that catches the tiles could represent a governance board that needs to decide which projects to do and when to do them. If too much work is proposed (on the conveyor belt), the governance board loses control, and chaos ensues. 2) Value maximization: a governance board should not only focus on getting work done, but ensure that the right work gets done at the right time to generate greater value. In the game, a vertical stack of three tiles helps clear the board and generates a few points, but nowhere near the value of larger horizontal and diagonal stacks. 3) Organizational goals: just as the game has a goal to be achieved before a player can advance to the next level, so organizations have their own goals and it is important to realize that not all projects support the goals of the organization. Appropriate portfolio planning is needed to achieve organizational goals. 4) Portfolio Risk: larger horizontal and diagonal stacks are harder to achieve and could represent organizational risk. Trying to get too much work done at once (setting up multiple diagonals or horizontals) jeopardizes the entire organization and could result in nothing truly getting done unless adequate attention is paid to managing the portfolio risk. 5) Pipeline management: the conveyor belt represents the current pipeline of project proposals and the speed at which the tiles come down the conveyor belt is a significant factor for determining the difficulty level of the game. Likewise, ensuring that there is a steady flow of projects that are dispatched appropriately is a success factor for portfolio management. Try out the game and let me know what you think and how well it applies to portfolio management principles. A newer version of the game can be found here, but is only available for Apple products.